This band was completely under my radar until just a few weeks ago. You know the major labels are in trouble when they’re actually signing bands that sound like old school arena rock. I can’t believe Atlantic Records released this album in 2010! Let me state that this album is not a complete throwback to the ’80s though. The sleaze rock, pop-metal, power pop and stadium rock influence is felt throughout this album (check out those gang vocals and huge choruses!) but there is also a modern and alternative rock/pop sound to the group as well. Put it this way, both Paul Stanley AND Billy Corrigan are championing this band and album as the best things to come along in rock music for quite some time, so that should tell you their sound doesn’t swing one way or another completely but what is complete about this album is the addictive hooks and infectious melodies. This album should appeal to a variety of rock fans. Songs like “Showdown in Central Park”, “Wildlife” (sleazy pop metal at its finest) and “Do You Believe in Rock and Roll” are for the ’80s rock/metal fan, “Call Paul Stanley” is a great rock ‘n’ roll anthem that would go down well in front a huge arena/stadium crowd, “Fire In The Pouring Rain”, “Touch” and “Heatwave” will appeal to fans of modern rock/pop. Bad City is definitely a new band I intend to keep an eye. It’s a shame this album almost passed me by! I only discovered the band because someone posted a link to their “Wildlife” song on a message board. Typically for this kind of music these days, the album isn’t exactly burning up the charts but hopefully they’ll be around for years to come. 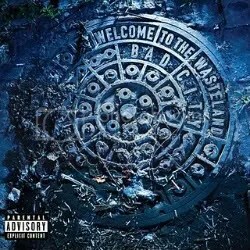 Chock full o’ hooks and anthems, Welcome to the Wasteland is one of 2010’s best releases and sadly it will be ignored for the most part. Someone like KISS or Bon Jovi or Motley Crue need to have these guys open for them so they can get exposed to the right market and build a solid following.